Segment Description: Paul Drain, MD, MPH, Assistant Professor at the University of Washington (Seattle) discusses the results of a study evaluating point-of-care viral load testing and shares the advantages of implementation. Contagion®: Are there other target cities where this method could be implemented to achieve more suppression and target the 90-90-90 targets? Paul Drain, MD, MPH: "Are there locations where this can be implemented? So, what we found through our randomized trial is – we followed patients for 12 months from the time of enrollment, and we had a composite outcome of viral suppression and retention in care. The results showed us that by doing point-of-care testing and being able to intervene on the same day while the patient is still at the clinic improves viral suppression rates and retention in care by a combination of 14%. When we disaggregated those and looked at them individually it increased both viral suppression and retention and care. And what the results were showing to us is that there was a large difference in getting the results back to patients. So, in the standard of care arm only 80% of patients received their viral load results from the laboratory, and the delay for that was about around 28 days, that was the median delay. In the intervention arm in the point-of-care arm nearly 100% of patients received their results on the same day of testing, so that really allowed us to intervene faster. So, this is certainly a model that can be expanded for resource limited settings where the delays in getting the results back to the patient has been a challenge and there might also be a role for doing point of care viral load testing in high-income settings, particularly among patients who may be having problems either with adherence or resistance so that we can identify whether they have a high viral load early in the course of their therapy." 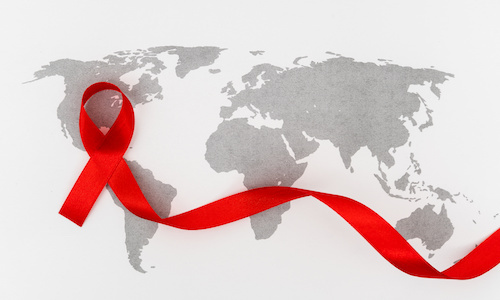 The study, “Point-of-Care Viral Load Testing Improves HIV Viral Suppression and Retention in Care,” was announced in a press conference previewing a presentation on Tuesday, March 5, 2019 at CROI 2019 in Seattle, Washington.